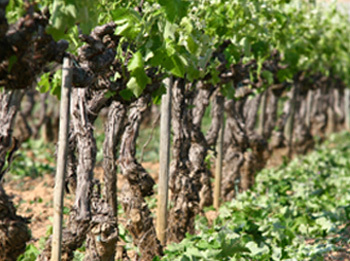 Our vineyards are spread over 48 hectares, divided into 29 plots, each with their own names: Aspisi, Secalló, Cireres, Romanina, Serdalla, etc… Some of them more than 50 years where typical Penedès varieties predominate: Macabeo, Xarel·lo and Parellada. We have also planted foreign varieties that have adapted well to our terroir such as Cabernet Sauvignon, Merlot, Pinot Noir and Chardonnay. Vines have made an effort to bear fruit. Now it rest. It’s time to fertilize the soil, helping to recover for the next harvest. 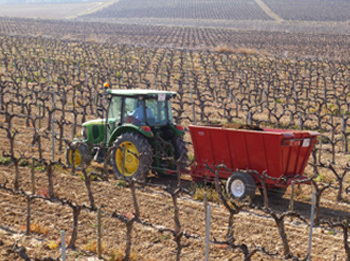 On our estate we fertilize the vineyards, with natural fertilizers, from Autumn to late Winter. The sun gives way and the cold appears, it is time for pruning. Shaping strains and looking for the right type of pruning to each variety and the type of wine you want to draw from that vineyard. 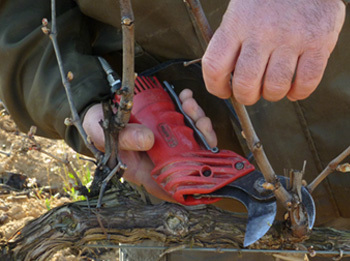 After pruning the branches are shredded and ground is tilled to serve as fertilizer. In the countryside everything is used. With the first spring’s sun the vines cry. Yes, they cry. The sap of life back to the vine. The days are longer and warmer, and the bud appears. But there is still cold nights and suffer for it if one of them is too much and damage the new buds. Hopefully that spring has come to stay and no more frost. 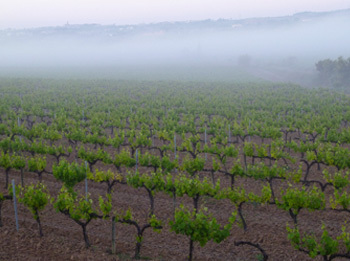 The vineyards are dressed in green and bunch already drawn. We cut the branches so the sun caress the grapes. Our father does not draw the eye to the vineyards. The effort of a year is about to finish. 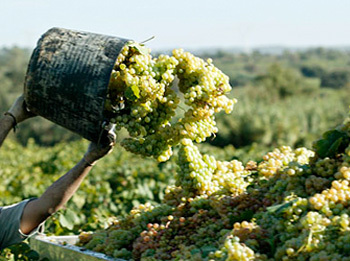 If the weather has been kind we can have a good harvest after caring for the vines throughout the year.